The E-commerce industry is in its full bloom. It holds the power that no investor can ignore. With such enormous potential, it is time thate-commerceindustry witnesses drift in its strategies. This industry is based on trust and e-commerce logistics play a very crucial role in delivering your deal to its final destination. While many brands promote their services by playing the free shipping card, the majority of them increase the product margin to cover up their courier expenses. 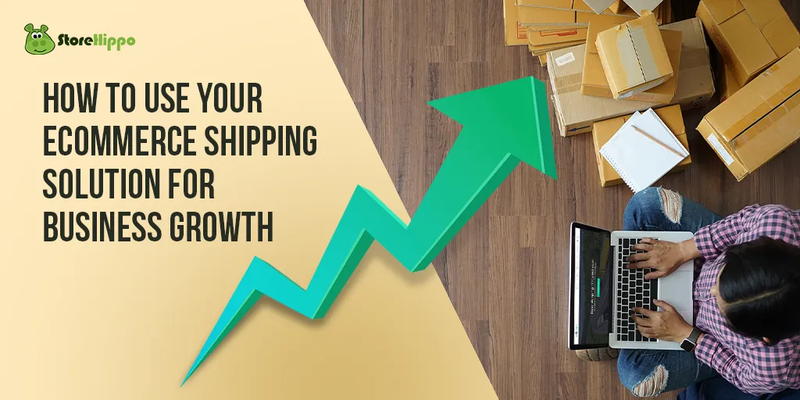 With this growing industry and a never-ending greed to increase financial profits, it is time to introduce new schemes that extract profit from online shipping solutions. Here are 5 tips for you to optimize the courier cost and look forward to a better and resourceful shipping solution. Planning and execution are vague terms if your vision is not clear. What do you want? Do you want to go international? Do you want to make your sales double by coming winters? You can always come up with different strategies if you know what you really want. Once your goals are clear you can analyze the market trend and see its feasibility. If it doesn't suit your situation, research a little and come up with a solution that is best for you. Always remember, business is always about practicality. Never let the perfection bug bite you when it comes to your selling platform. If you think, a customized platform is a necessity, you might be wrong. Instead of portraying a flawless stand, focus on the product and their sales. Building clientele must be your primary aim. But if you analyze that your sales are increasing but you can’t handle the shipments, or if you are having difficulty in tracking your orders, you better look for a third party for e-commerce courier services. The customers who often order from e-commerce shopping platforms have their own preferences when it comes to courier delivery services. Some like it delivered in person, while others don’t care if you leave the parcel on their porch. If you are working with a certain delivery service, let the end users know their terms and policies. If you want to widen your delivery prospect, you may also ask for preferences and charge for the extra service. Let them choose if they want a standard or express delivery. According to a renowned survey, the majority of e-commerce buyers abandon their cart after they see the extra delivery charges added while checking out. This not only wastes the buyers time but also increases the bounce rate. Some of them even feel cheated. To rectify this situation, it is best to display the delivery price on the product page itself. The clients will thus pick the products that suit their price range, including delivery charges. You need to figure out if the shipping cost is the marketing expense or the cost of the product for you. Once you have decided, pick the regions where free shipping won’t burn a hole in your pocket. You weren't planning to deliver free products across the world, were you? Be smart and introduce different slabs in the shipping rates, like free shipping + expedited shipping, or standard shipping + same day delivery. While keeping the basic rates zero, surcharge the expedited rates. Once you have followed these steps, It is advised that you analyze your delivery expenses every month and change your working strategies accordingly. Do remember, trying new approach may take time to deliver what you expect, but you should always distinguish when it is time to upgrade your strategies and change the workflow. To overcome this dilemma you can always go for expert advice from the best e-commerce shipping solution services. Shipping has never been an easy industry, and will never be. However, with a little effort, we can always extract maximum profit from what we deliver. I guess that’s what business is all about! StoreHippo has always been offering integrated shipping as a comprehensive e-commerce solution for its clients. With ShipKaro, the shipping aggregator platform Storehippo allows you to explore all the above options and optimize your shipping costs by choosing the most economical shipping provider at a discounted rate. The pay as you go, model, allows you to avail the best shipping services irrespective of your business model or industry vertical. Explore the benefits of using ShipKaro for you supply chain now!